 Catering with Cocktails | Bowtie Catering Co. 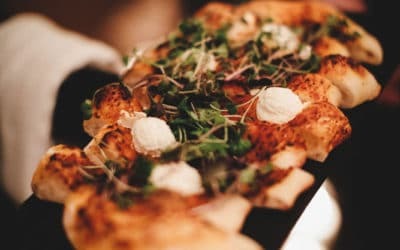 When catering a shower, luncheon or private dinner party – adding a light, boozy beverage with your menu adds a special touch and a treat for your guests. 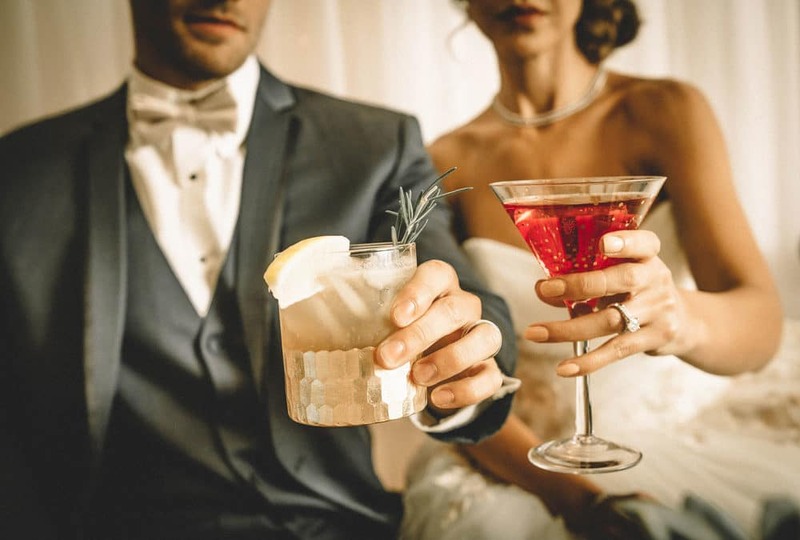 Creating an easy signature cocktail for your next event is half the fun. We’ve come up with a few food and drink ideas for your next gathering. They’re simple, delicious and definite crowd pleasers! The Boozy Baby Shower Mimosa – Champagne, Orange Juice, Mint Leaves and Seasonal Berries. There’s nothing more fun that getting together with your best ladies for food, gifts, games and of course, cocktails! Enjoy this bubbly drink with a brunch menu of a spinach egg scramble, frittata with cheese, scones and fresh seasonal fruit. Mimosas go great with desserts too! 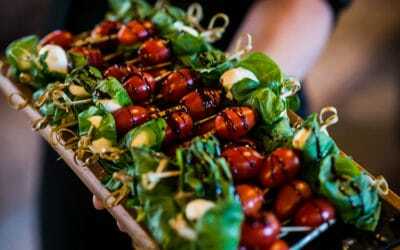 Martini Lunch – Hosting a luncheon and need a light drink for entertaining? Try this alternative version of a martini: Squeeze 1/2 lemon in a shaker. Pour half a shot glass of Cointreau and a 1/4 shot glass of your favorite vodka. Top it off with club soda and add a mint leaf for garnish. This drink pairs well with a Classic Grilled Chicken Cobb Salad or Steak Salad with Fresh Tomatoes & Beets. Ginger Beer Margaritas – The next dinner party you host must include this amazing cocktail and some delicious Mexican cuisine. Pour 1 ½ ounces of your favorite tequila, 1 ounce of fresh lime juice, ½ ounce of simple syrup into a shaker filled halfway with ice. Shake, then add 3 ounces of ginger beer. Drink in a cold glass rimmed with salt, garnish with fresh lime. Pairs well with Green Chili Chicken Enchiladas with rice, beans and fresh guacamole.